Himalaya Hotel, is at the foot of Mt Kailash, Darchen, Purang County, Ngari, western Tibet. This Tibetan owned Hotel was open since Jun 2014. It is by far the best hotel at the holy Mountain Kailash. Each room has private toilet and shower facility. Since 2015 and 2016, there are few other hotels which have shower and indoor attached toilet, however, the Himalaya Hotel is the best one. Our hotel host most of the Indian pilgrims and the western spiritual travelers. Our busy time is from early May to the first week of October, while the peak season is June, July and August, early September. So the Kailash tour inquiry and hotel booking confirmation depends on case to case situation. The guestrooms are spacious and comfortable with Tibetan design. The hotel hall and guestroom are all covered with Tibetan carpets. Some of the guestrooms have ventilation system, fresh air system, automatic sprinkler system and fire control system. Himalaya Kailash Hotel has Chinese and Western buffet restaurants, cafe, foot massage, karaoke, sauna, internet bar, etc. If you want a comfortable hotel before and after the Kailash Kora,Himalaya Kailash Hotel is absolutely the right choice. Based in Lhasa, our agency has good cooperation with this Tibetan hotel. If you are interested in booking the hotel or a tour with us, please feel free to contact with us now. Our private Kailash tours are much cheaper than any other local Tibetan tour agents here in Lhasa! For the room availability and pricing, Please submit your detailed requests and date, besides the hotel booking along the way to Kailash, we also provide all necessary travel permits, local guide and driver arrangement. 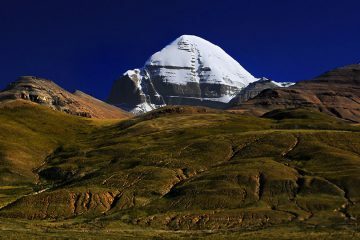 Our offer for Kailash tour is somehow around US$2500 per person, however it totally depends on your personal travel case. The price varies from 1700 to 3500 US$ per person because of different group size, travel season and accommodation categories. We are looking forward to assisting you further. Tibetan Himalaya Kailash Hotel is at the foot of Mt. Kailash and it is by far the best available at Darchen, the base camp before your Kailash Kora. Of course it is not a 5 star category hotel, but it is the top end and best one. There is no better option. 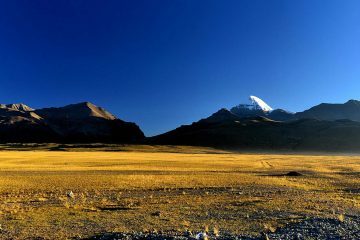 Our agency has special offer for your Tibetan spiritual Kailash tour and accommodation booking along the whole journey.